The Agua Blanca community has a population of 300 inhabitants, which currently depends on community tourism. 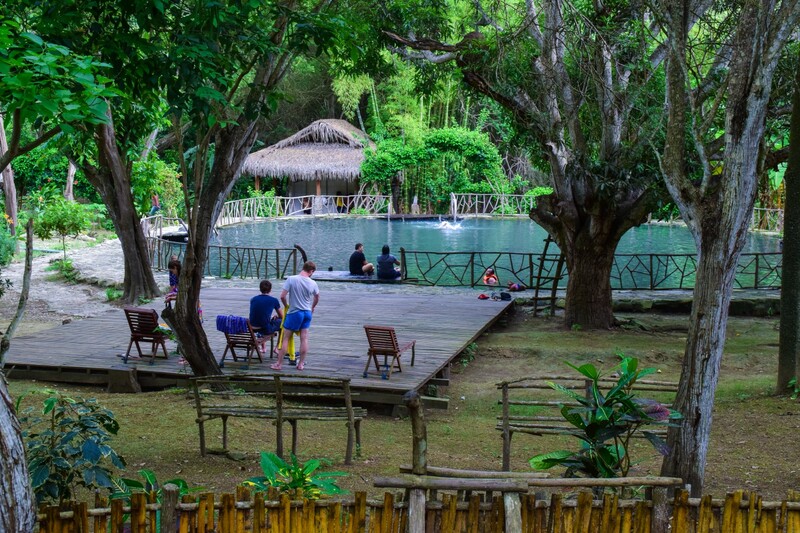 It annually receives around 16,000 visitors, both national and foreign, who come to know the remains of the Manteña culture, admire the dry and tropical forests, or to benefit from the medicinal properties that are attributed to the waters of its sulfur lagoon. 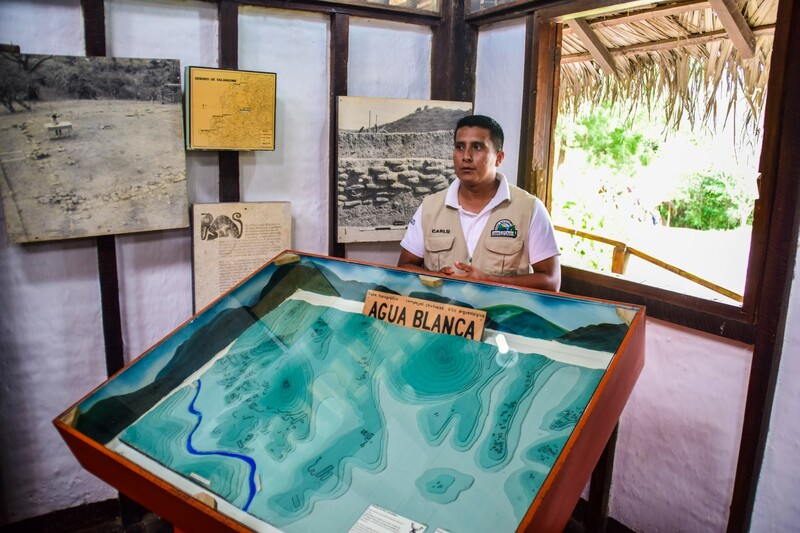 Colleagues, foreign tourists, Ecuadorian families, university students, visitors of the most varied profile find in Agua Blanca a claim for their leisure, their solace and their cravings for knowledge. The Agua Blanca Community is located in the province of Manabí. Canton: Puerto López Parish: Machalilla. 12km north of Puerto López, approximately 5km away from the main road Jipijapa - Puerto López. At an altitude of 80 meters above sea level. From Manta you can take a bus to Puerto López (3 - 3½hs), or a taxi directly to Agua Blanca (1½ - 2 hours). We can organize the taxi collection for your convenience, there are direct buses from Guayaquil and Portoviejo or changing in Jipijapa, by car from Guayaquil depending on the conditions of the roads the trip takes approximately 3 to 4 hours. From Quito to Manta, two airlines (Tame and Aerogal) provide their services, which offer daily flights at different times, costing approximately $ 100. It is a natural lagoon that at dawn is covered by a thin white layer due to the concentrations of sulfur emanating from an underground volcanic root, which gives the name to the Agua Blanca commune. The lagoon has medicinal benefits, it also favors the human being in rheumatic diseases, it is considered a sacred lagoon since in the antiquity and until today cultural festivals are held. That point is 100 meters above sea level. in which you can see two great landscapes the dry forest surrounded by muyuyos, carob trees, guayacán and ceibos and the San Sebastián Valley, basic attraction adorned by an orderly natural landscape, where there are remnants of primary forests. From the viewpoint you can see the archaeological sites, the valley of good sight, and the community houses. The dry and humid forest is very important for its abundance and endemism. It is represented by: ceibo, algarrobo, acacia, laurel, guasmo, jaile, manzanillo, palosanto, muyuyo, barbasco, chala, papaya, ferns, bromeliads and orchids, fine moral, broadleaf, guayacán, bototillo, guarumo, breakwater, salty mount , lichens. The vegetation that is on the banks of the rivers has characteristics of semideciduous dry forest such as the Matapalos. There is also a variety of animals among mammals (howler monkey, tigrillo, white-tailed deer, squirrel, bat) birds (mot mot, hornero, perlillas, woodpecker, woodcreeper, claw, kingfisher, buzzard, turtledoves, hummingbirds) and reptiles (iguana, boa, snake x, false coral snake). 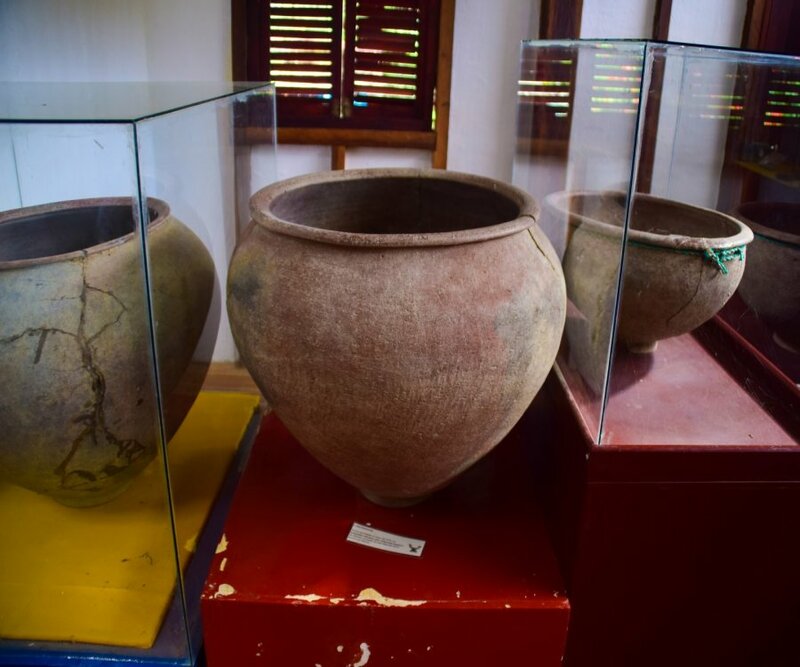 The pieces exhibited in the museum constitute a sample of only 30 ‰ of the material excavated by Mc Ewan, six archaeological cultures have been identified on the site, which are represented in the museum, these being: Valdivia, Machalilla, Chorrera , Bahia, Guangala and Manteño. Despite being a rather small space, the museum nonetheless manages to present an archaeological synthesis of the site, through maps, mock-ups, chronological series, as well as explanations in Spanish and English about the use of the pieces in their cultural context, the exposed material is concentrated mainly around ceramics (funeral urns, vessels for ceremonial and domestic use), stone (columns, the famous U-shaped chairs), shell, metal, bone, and certain minerals such as turquoise. 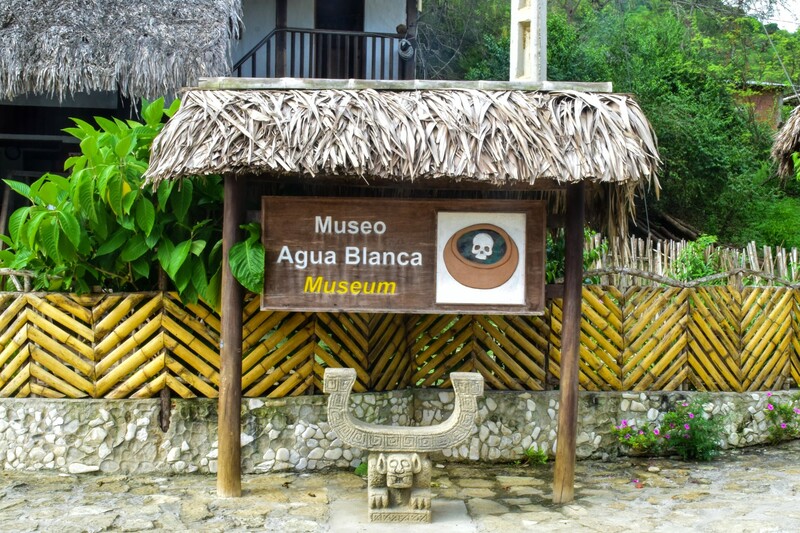 Agua Blanca is an archaeological site in the heart of the park, which stands out for the vestiges of a city of the Manteño period, the main one of the Salangome manor. 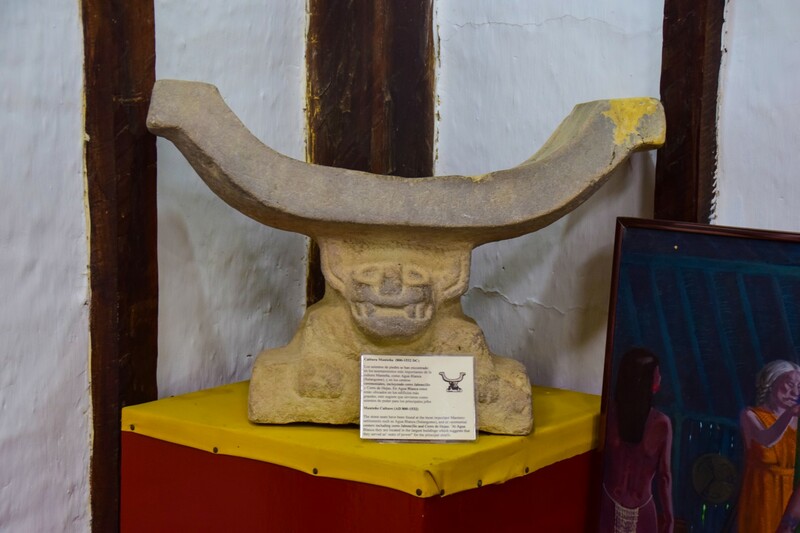 In the Buenavista River, a set of temples, squares and dwellings typical of the Manteña Culture is built 1500 BC. 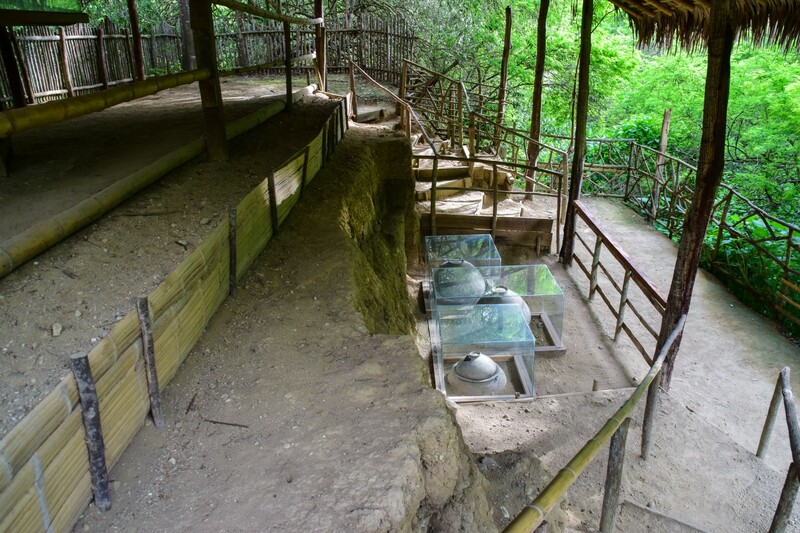 In addition, ceramic objects were found, such as pots with polypodia legs, jars, whistles, clay candlesticks, bow-shaped bowls painted in two colors, solid human figures painted in red or with bands of that color. 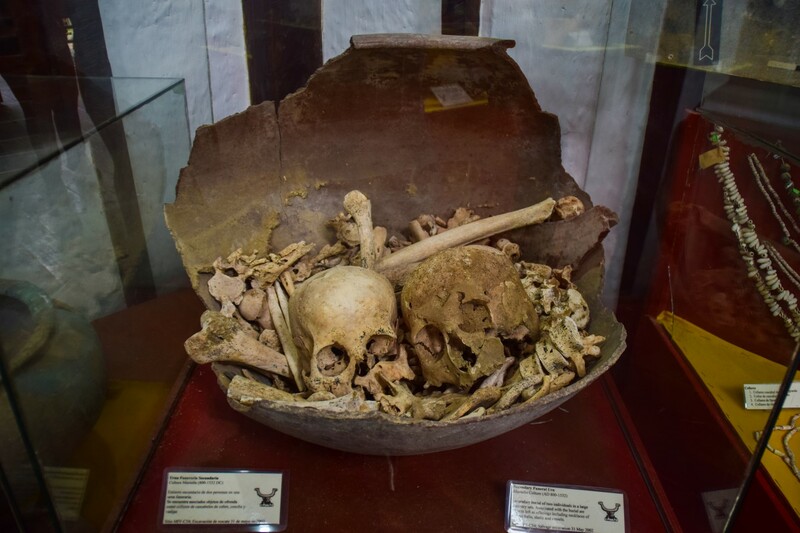 The existence of human skeletons that denoted a humble condition of the Machalilla Culture, referring to the Middle Formative period, which extended from the south of Manabí to the province of El Oro and Isla Puná. Travel exclusively on the trails. Collaborate with the conservation of the natural and cultural heritage of the community. Avoid damage or alterations in flora and fauna species. Avoid entering the community with elements harmful to the environment or that threaten the safety of people. Place the organic and inorganic waste in the corresponding deposits. 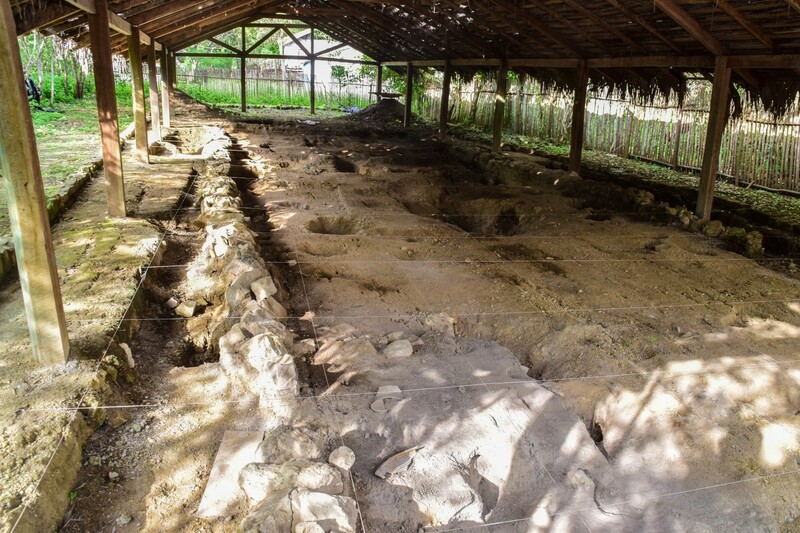 In case of finding pieces or archaeological remains around the route communicate to the administration of the community so that they are returned to their place, otherwise they will be judged by the community laws. Seniors and people with special abilities $ 2.50. Horse rental $ 10.00 per day. Life-saving rental $ 1.00 per day. Volunteering: The Community provides all the necessary support in the development of the work and activities of the Volunteers, in which national and foreign students can participate, for which they must abide by the internal norms of the community, and the norms of the Foundations u Organizations that send their volunteers to the community. Internships: The community of Agua Blanca has an internship program aimed at conservation, environmental education, recovery and strengthening of the Manteña culture and its environment, with the purpose of making known their culture and traditions by generating skills and attitudes in the future professional actions of the student. For which it offers study, practice and research opportunities to students of different careers related to Tourism, Biology. 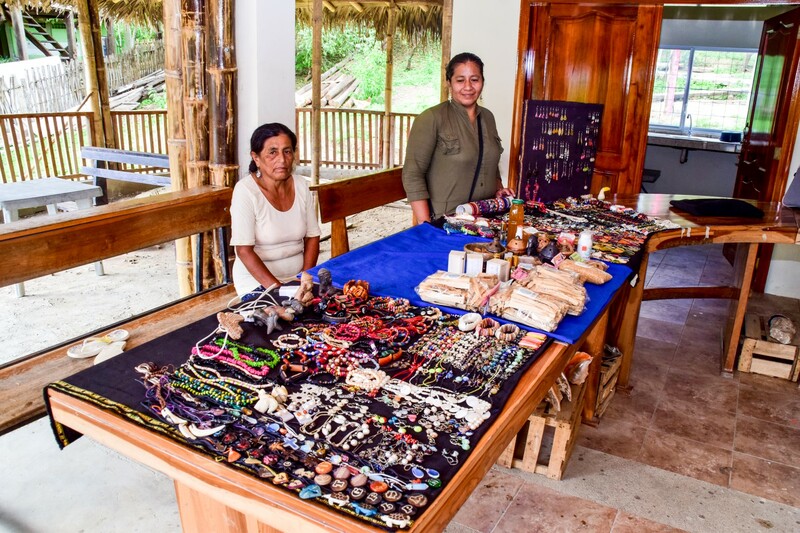 In the community you can also buy crafts made by the residents of the community, made in materiale sd ela zone and especially with spondylus shells. If you want to make this tour you can access this link, Puerto López - Manabí, where you will find all the information of the best agencies in the city that offer this tours, as well as restaurants and lodging places so you can plan in a more appropriate way. visit to this place.